On Thursday 15 October, a packed Secular Hall listened to speakers from the NUT, the TUC and Leicester Trades Council to condemn the latest attack upon workers by the Conservative Government. The Leicester South Labour MP Jon Asworth, who was supposed to attend but couldn’t because of childcare issues left a message of support in which he called it a disgrace that George Osborne says the Tories are the party of working people. Asworth also said that Labour MPs should stand against the bill. Also not in attendance due this time to illness was the Labour councillor, Rory Palmer. Palmer had made a motion at Leicester City Council condemning the anti-trade union bill of the Government. First of the speakers was Anne Blaire of the NUT, who as Teacher and shop steward spoke about how the bill would undermine the ability of unionists to represent their members by the cancellation of in-work time for union duties. She also said that it was hypocritical of the Government demanding a 40 percent yes vote for strike action when only Twenty Four percent of the electorate voted for them. Blaire named the Government as ‘Brutal’ and talked about the troubles faced by teachers due to the changes and cutbacks, making it impossible for them to carry out their jobs. She reminded people that public sector workers such as teachers did not want to inconvenience people, but only took industrial action as a last resort. It was because of the poor manner in which Governments treated public sector workers that they were forced into strike action. She also told how management had begun to use bullying tactics against NUT shop stewards. She called upon all the local activists to lobby their councillors and M.P.s, to hold stalls and to publish the dangers upon social media sites. There would be leaflets and posters available on the TUC website for any activists to use. Also, people can find help by contacting their local TUC office, who would be happy to aid them in any way possible. The second speaker was Tony Mellish of the TUC. Tony began by listing all the changes that the bill would bring about. He told the audience that for a union to go on strike under the new law, they would need a yes vote of forty percent of all of their members balloted. Also, the new law would make Unions take a vote every five years on whether they should have a political fund. Tony said this part of the law was not only aimed at the Labour Party but at stopping the unions from carrying on campaigns against for example the privatisation of the NHS, or unfair trade deals like TTIP. It was according to Tony a way that the Government was using to stop any dissent. Tony told how the Government refused to allow phone or Internet balloting. He said that to allow such kind of Balloting would make it easier for union members to vote. Under postal balloting, it would be impossible to get the forty percent needed for any type of action. Mellish finally called upon all of the local activists to start the campaign against this law by lobbying their councillors and M.P.s. They should also hold stalls, so they can get the message out about this bill. They would find lots of useful materials like posters and petitions on the TUC website. Finally to speak was Tony Church, Deputy Secretary of the Trades Council. He reminded the audience that Britain already had the worst and most restrictive Trade Union legislation in Europe and that strikes can work when we look at what happened recently in the National Gallery strike. Also, he reminded us that when workers fight they win, for it was the 18 million people who defied the Poll Tax and brought down Thatcher. He said that the election of Corbyn as Labour leader is a step forward and called for all us to show Parliament and the media we are going to defeat this Bill! During the question and points session, TUSC candidate and ex-Labour Councillor, Wayne Naylor spoke about the disgraceful effects that the Tory cuts were having on the city. He had seen ordinary people who had not eaten for days because of benefits sanctions. He called for all left-wing groups and unions in Leicester to unite, defeat the bill and bring down the Tories. 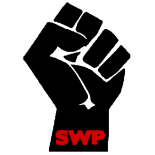 This entry was posted on Oct 28, 2015 by leicestersocialistworkersparty in BFAWU, capitalism, Corbyn, FBU, GMB, Industrial Action, Jeremy Corbyn, Labour, Labour Party, marxism, NUS, NUT, Socialism, Unions, Unison, Unite.